AHORA HACERO' EL NOMBRE DE TODOS LOS MUCHISSIMOS PERSONAJES EMPORTANTES QUE HA ENTERVISTATO MI QUERIDO Y AMADO JAIME, IL MIO CARO E AMATO JAIME EL VALIOSISSIMO ESPLENDIDOS ACTOR JOVEN MEXICANO JAIME AYMERICH QUE AQUI VEAMOS EN ESTAS ESPLENDIDAS FOTOS DE "DONA RISA" EL SU SHOW ,LOS NOMBRES: CAPULINA, MEMO RIOS, POMPIN IGLESIAS, LACHUPITOS, LUCILA MARISCAL, AGAPITO, BETO EL BOTICARIOJR., EL POLIVOZ JR., RAFAEL INCLAN, PEDRO ROMO, PACOIBAÑEZ, ALEX DEL CASTILLO, ALEJANDRO DEL CASTILLO,ALFONSO VILLALPANDO, EVELIO, JOHNY WELCH, ANABEL,RUBEN CERDA, Y A LUCHADORES......... . ESTA ES UN'OTRA PARTE DEL TRABAJO DE JAIME EN "DONA RISA" LAS ENTERVISTAS, LO SHOW ES ASI , ESTA' EL JUEGO LA TRASFORMACION DEL ACTOR EN TAN PERSONAJES Y LAS ENTERVISTAS QUE L'ACTOR CONDUCTOR DE LO SHOW HACE A OTROS PERSONAJES DE EL ESPECTACULO!!!!! UN GRAN TRABAJO MUY EMPORTENTE !!!! Y SEGUNDO MI ESTE SHOW ES HACE POR JAIME , SOLO ELLO SIEMPRE SEGUNDO MI PODEVA ESTAR CONDUCTOR Y ACTOR EN LO MISMO TIEMPO!!!!! JAIME TIENE LA VALIENZA DE LOS GRANDES ACTORES COMICOS COMO CHARLIE CHAPLIN, COMO ROBERTO BEGNINI, COMO CANTIFLAS!!!! Y SU SHOW ESTA TENENDO UN EXITO MUY GRANDE!!! RECUERDATE SIEMPRE LE ORARIO LA 6 DE LA TARDE ORA DE LOS ANGELES TOSAS LAS SEMANAS DAL LUNES AL VIERNES SL CANAL 22 ESTA "DONA RISA" CON JAIME AYMERICH IR A VERLO IR A REIR A PASAR ALGUNAS ORAS ALEGRAS!!! 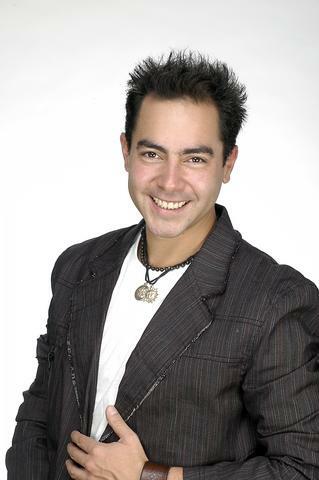 QUIEN ESCRIBE ES DONY EL FANS CLUB OFFICIAL DE ITALIA DE SU AMADO Y QUERIDO JAIME DE UN SER MARAVILLOSO BUENO LIMPIO Y PURO Y UN GRAN ECCEZIONAL Y VALIOSISSIMO ACTOR!!!! TI VOGLIO TANTO BENE MI AMOR MI VIDA MI ALMA, NUESTRAS ALMAS SON JUNTAS POR L'ETERNIDAD .L'ALMA DE JAIME Y EL ALMA DE DONY!!!!! !